Food in Zimbabwe is quite traditional. It’s generally pretty hard to find haute cuisine there, save for a few restaurants near luxury hotels. But that doesn’t mean the food served up at restaurants and street stalls isn’t flavor-packed and worth a taste. While a few of the traditional dishes are similar to what you’ll find in neighboring countries like Botswana and South Africa, Zimbabwe has its own creative take on them. Here are 10 Zimbabwean dishes that will give you a zing you won’t forget. This aromatic stew is one of the favorite dishes in Zimbabwe and has a prevalent peanut taste that carries the flavor. It’s made with a copious amount of onions, peppers, carrots and garlic to balance out the flavor of the peanut sauce. When it’s available, chicken will also be thrown in to the mix. Make sure this dish is one of the first you chow down on if you visit Zimbabwe. This thin porridge is one of the staple foods for most people living in Zimbabwe. It’s usually made from Mealie Meal and is often eaten for breakfast to power people through the day. The dish is flavored with milk, peanut butter, then served with crushed peanuts on top to give it a crunchy mouth feel. Like Bota, this thickened porridge is probably the most common food eaten in Zimbabwe in most households. It’s similar to Ugali in texture and is generally made with Mealie Meal. The dish is so common that it’s often used to describe the entire dish that it’s served with. All you have to do to eat it is pinch it off in your fingers then grab whatever delicious food is on your plate. 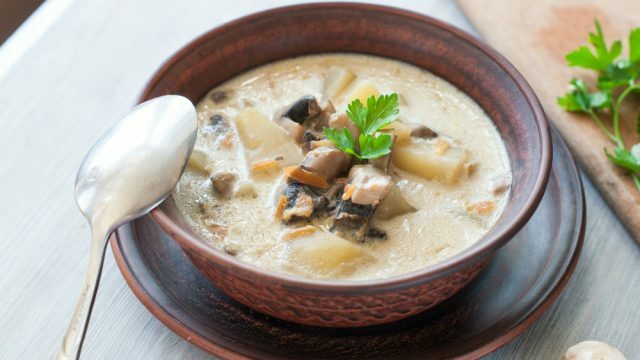 This yummy and rich soup is one of the more traditional meals in Zimbabwe, so it can be hard to find on restaurant menus in the country’s big cities. 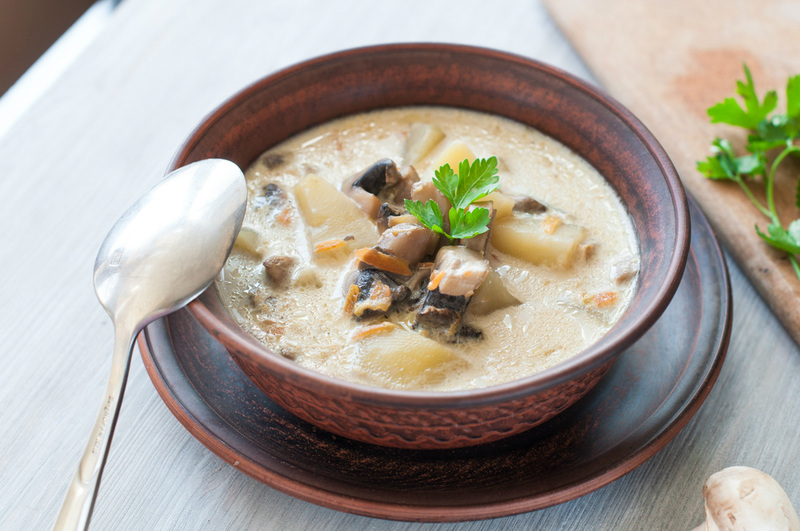 It’s made from wild, local mushrooms and a savory broth. After chowing down on hearty dishes, you’ll need something to wash it all down with. This traditional drink has become extremely popular in Zimbabwe over the last few years. The sour drink is made from fermented maize, sugar, and malt to give it a distinctive taste. It’s popular in most villages, where you’ll find people making it in a clay pot, but can also be found in stores under many different name brands and flavors. Also known as nutty greens, this flavorful dish borrows some of the peanut flavor from dovi, but instead combines it with a heaping portion of collards or mustard greens. The dish is also much simpler, and just uses the greens, crushed oil and peanuts to create a savory side. If you like creamed spinach, you’ll probably enjoy this dish as well. These dried fish come from Lake Kariba in Zimbabwe and are a popular addition to many meals. The fish are usually cooked with onions and tomato when served as a meal, or coated and fried to eat as a snack. Saucy or crunchy, you can have them any way your taste buds desire. Though boerewors is usually associated with South Africa, it’s also quite popular in Zimbabwe as well. It’s usually made of a mixture of beef, lamb or pork and flavored with a ton of spices. It’s the perfect food to grill up and share with a bunch of people when the weather is good. We can’t have a food list without having for your sweet tooth. These tiny candies are considered a delicacy in Zimbabwe and are the perfect thing to munch on after a meal or for a snack. They are made from papaya and a heaping amount of sugar, then cooked in a pan until the mixture crystallizes together. It’s time for round two of desserts. You’ll often find this shiny pink coated cake in bakeries on the streets of Harare or other big cities, waiting for passersby do gobble them up. The taste is not much different than your typical yellow cake, but is a traditional treat that many Zimbabweans crave.